You want a piece of that pie for yourself. All you need to figure out now is how to get started and how to maximize the potential of Instagram Ads to drive mobile app downloads. Fortunately, you’re not the first marketer to walk down this road, which means there are plenty of great examples you can follow. Here are a few pointers to help get you started. Create a Facebook Business Manager Account. Link your Instagram account to the Business Manager Account, or create a new Instagram account and link it. 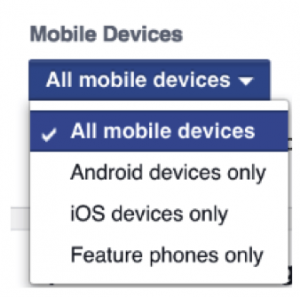 Register your app using the Facebook platform and provide appropriately descriptive information. Once your account is registered, you’ll be able to use Facebook’s ad creation tool or the Power Editor to begin building your ads. A goal for your campaign (likely “Get installs of your app,” but potentially “Send people to your website” or “Get video views”). A call-to-action, or CTA, button. A caption that captures interest and highlights the visual content. One or more hashtags to help your ad get discovered. More to come on each of these elements in the tips below, but as you’re building your Instagram Ads, remember that you’ll also want to take advantage of Facebook’s targeting capabilities that let you refine your audience by demographics, interests and behaviors. As with your Facebook Ad campaigns, you’ll want to set a daily or lifetime budget to keep your spending under control. You’ll also have the choice of how your ads should be optimized for delivery (for instance, by link clicks, impressions or daily unique reach) and whether your bids will be placed automatically or manually. If you choose to go the manual route, know that the average ad costs $3.00 per thousand impressions and that you can score video views for as little as $0.02 each. I could write a lot more about the basics of Instagram Ads, but since the subject’s pretty well covered online already, I want to spend more of this article sharing my best tips for driving mobile app downloads with Instagram. Don’t feel like you have to do everything on this list all at once. Pick a handful of tips that seem like they’ll make the biggest difference in your campaigns, and start there. 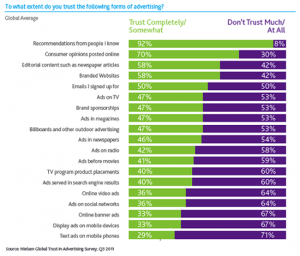 Test your results and adjust your advertising approach as you go. Then, if you still want to expand your reach, test placements on the Mobile News Feed (since most Instagram users access the platform via mobile devices) and Audience Network. If your app only works on iOS or Android – not both – you don’t want to waste your ad spend targeting users on the unsupported platform. When you’re setting up your ad, you have the opportunity to select displays on Android, iOS, feature phones or all mobile devices. Choose the right targeting option to minimize unnecessary spend. One final targeting tip: consider testing ads that display only when they detect users are on WiFi networks. Users on limited data plans may not want to waste their data downloading apps if they aren’t on WiFi. Limit the odds that data-based Instagram users will ignore your ads with this simple tip. Facebook Ads’ custom and lookalike audiences are incredibly powerful tools that too many marketers fail to take advantage of. 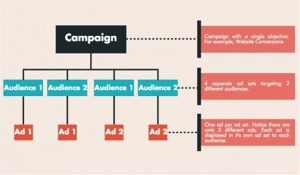 Essentially, custom audiences let you create groups of users to receive your advertisements, based on past behavior and other shared criteria. With lookalike audiences, Facebook builds off of the custom audiences you’ve defined and tries to identify other users who share similar qualities and characteristics. A lot has been written about using custom and lookalike audiences, so check out the guides below if you want to know more about these powerful targeting tools. Create a custom audience of those who have installed your app. Then, create a lookalike audience to find others who are likely to be receptive to your advertising. Similarly, you can create a custom audience of those who have made in-app purchases (or who have high engagement with your app). Again, build a lookalike audience to find others who are likely to become responsive users, and target them with Instagram ads. Instagram’s Ads appear natively alongside organic content, giving advertisers the huge advantage of being able to fly “under the radar” – that is, if they take the necessary steps to blend in. First, always – ALWAYS – use Instagram’s square 1:1 format. The platform recommends a file size of 1080 x 1080px. Don’t mess with this rule until you have a really good, data-driven reason to do so. Beyond that, spend time studying your audience and niche so that you can craft ad content that’ll blend into its organic postings. Does your audience seem to favor one filter over another? Do their shots tend to be close-ups or more scenic views? Do they feature people, products or another subject matter? The more you can duplicate their style, the better your ads will blend in. That said, don’t match your audience’s style perfectly and assume your ads will perform well automatically. Test, test and test some more. Test different types of product shots. Test images versus videos (people are 85% more likely to buy product if they see a video demo first). Test the way you convey your app’s benefits (either in creatives or caption, as long as you don’t go over the 20% text rule). Test using an image of a mobile phone in your ad image. Don’t ask me why it works: it just does. 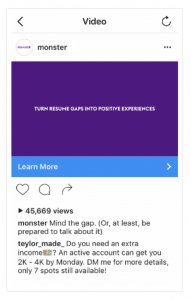 You can use a maximum of 300 characters in your ad caption, though Instagram recommends limiting your entry to 125 characters. What to put into your 125 characters? Don’t hammer your audience with product features and benefits. Instead, use catchy copy to showcase your brand’s personality. It’s fun, it’s engaging, and it doesn’t waste too much time or real estate convincing viewers why its content matters. Hashtags, for some reason, strike fear into the hearts of marketers who don’t spend much time engaging on Instagram. 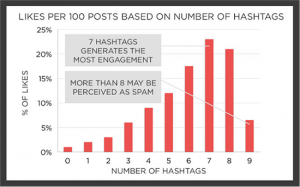 Which hashtags should you use? How many is too many? Are you coming across naturally, or do your hashtags read like your Aunt Vivian trying to use teen slang? Pretty wild, right? Although I’m not usually one for blanket recommendations, I think this is a great starting point. If you don’t know how to use hashtags, monitor which tags others in your space are using, choose seven that are appropriate to your ad, and test your results against other combinations. If driving mobile app installs is your campaign goal, a CTA like “Install Now” or “Use App” is likely to be your best bet. However, depending on the specific function of your app, you may find it worthwhile to choose a different CTA. A games app, for instance, might want to test “Play Game,” while a travel app could try “Book Now.” Consider your goals carefully and test the CTA buttons that make the most sense for your app. One way to leverage the social proof of personal recommendations as part of your Instagram advertising strategy is to use user-generated content (UGC). Imagine, for example, that you’ve run an Instagram campaign around a hashtag you’ve created for your brand (see Lululemon’s #thesweatlife campaign for inspiration). You’ve now got tons of branded content supporting your product or service – why not use it in your campaigns? To be clear, you’ll want to either ask users for their permission before using their content, or make it clear from the start that participating in the UGC campaign gives your brand permission to use the content shared. However, given that Iconosquare found that “76% of Instagramers declare that receiving likes encourages them to publish more and that 65% of users would feel flattered or honoured if a brand liked one of their post,” getting permission shouldn’t be a problem. Social scheduling is always a hot topic, and the subject gets even more heated when it’s your money that’s on the line. Standard – Shows your ads throughout the day. Accelerated – Helps you reach an audience quickly for time-sensitive ads (though you’ll have to use manual bidding if you choose this option). Test both options, using accelerated scheduling to run ads around periods that your existing social data suggests might be beneficial (a practice known as “day-parting”). 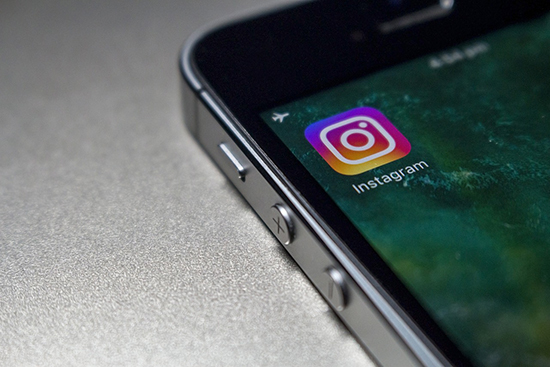 If you’re running an Instagram campaign that involves sending users from your ad directly to an app store, where the install will occur, you might not have a need for landing pages in your campaign. 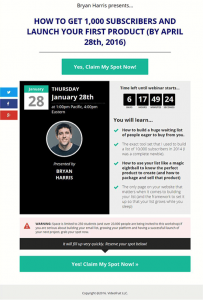 And another one from me: make sure any pop-ups you’re using on your website’s desktop version don’t interfere with the usability of its mobile display. Not only will you frustrate users, you’ll also put your site at a major SEO disadvantage. My final tip is for those of you who aren’t ready to drive app installs yet, but who are instead driving Instagram traffic to a “pre-launch” landing page designed to capture email subscribers in advance of your app’s release. If this is you, I’d highly recommend using a single opt-in form on your landing page, rather than a double opt-in, based on data shared by Social Insight. Make things as easy as possible for your future users, and they’ll respond in kind with their email address opt-ins. I spent a lot of time above suggesting that you split test your ads, covering everything from your creative assets to your CTA and more. 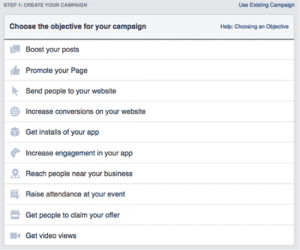 But how do you actually do that, using Facebook’s Ads platform? 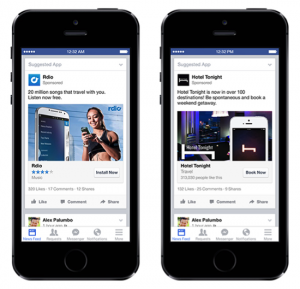 The first thing you need to know is that Facebook automatically tests multiple ads in the same ad set and chooses winners based on its own algorithms. Once it determines a winner (which usually happens fairly early in the campaign), it sends a disproportionate amount of traffic to that ad, making it impossible for you to accurately measure different variations against each other on your own. That might be enough for you, but what if you want to control your own data? 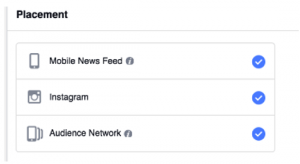 Creating multiple ad sets can be done manually within Facebook’s Ad Manager, but it’s faster to execute with the Power Editor – especially if your campaigns are large or complex. If you’re testing on your own, you need to be able to determine when you have a winner on your hands. 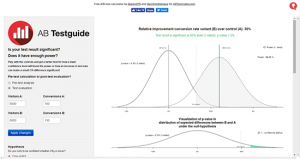 Generally speaking, the process of finding this statistical significance is the same for Instagram Ads as it is for any other type of split test. Remember that the amount of time it takes to reach statistical significance depends on driving a certain number of engagements – and that the time it takes you to reach that goal will depend on your budget. If you have a large budget, you can drive more engagements, more quickly. If your budget is small, on the other hand, you may need to wait longer to conclusively determine your winning ad. 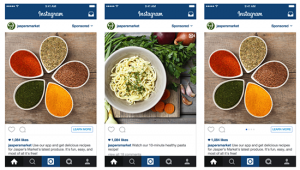 Using Instagram Ads to drive mobile app installs, like everything else online, comes with a learning curve. The guide above represents a great starting point, but you’ll learn more actually running campaigns than you ever will reading about them. Use the processes and tips described above to get started today. Watch your results and refine your campaigns as you go. In no time, you’ll be on your way to driving a steady stream of new app users, thanks to Instagram Ads.